Its perilous incline has defied gravity since the 12th century. But now the Leaning Tower of Pisa has lost some of its famous tilt, researchers have found. 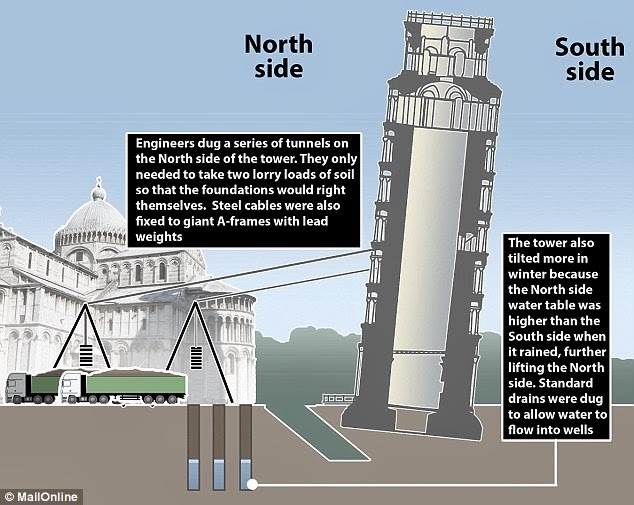 An annual report on the monument’s stability has revealed that the tower had spontaneously recovered some of its vertical incline-straightening by 2.5cm since 2001. The straightening is not a miracle, but the long term effect of an 11-year restoration project completed in 2001. Previously the 56m bell tower’s tilt was increasing by more than a millimetre a year creating a danger that it could collapse altogether. In 1993 it was leaning by 5.4m, compared to 3.8m in 1817 and just 1.4m in 1350. The 14,500-tonne tower was shut for a decade while the foundations were reinforced and water was drained from beneath. Supporting steel cables were placed in circles around the structure. After the £25million project, the tower straightened itself almost immediately by 38cm. The 2013 study by a scientific committee tasked with monitoring the celebrated building confirmed 'that the bell tower is stable but tending to straighten'. Giuseppe Bentivoglio, technical director of the monument, said the tower’s lean towards the south is shrinking. Mr Bentivoglio claimed the move was ‘expected’. The tower's future is secure for another two- or three-hundred years, he said. 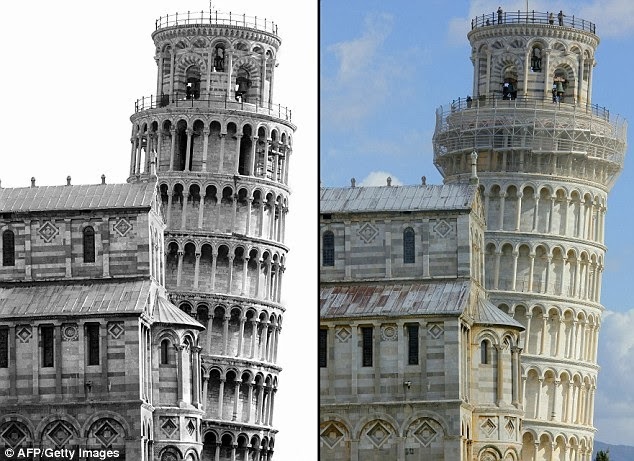 The prospect of losing Pisa’s unique selling point will not sit well with locals.